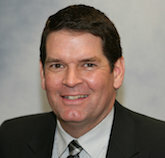 David Roberts joined the Boise School District in 2005 and currently serves as the Administrator of Technology. He started his current position in 2013 and since moving into this role, David has focused on empowering students, teachers, and administrators to find the best integrated and innovative solutions to meet their needs. This has included substantial infrastructure upgrades, an increase in mobile device accessibility, and BYOD opportunities. David began his career in public education in the State of Idaho in 1988 and has worked in 4 districts across the state. He has his undergraduate and master’s degrees from the University of Idaho. As a lifelong educator, he has worked as a secondary mathematics teacher, varsity boys basketball coach, and administrator. In each role, David has enjoyed the opportunity to be a part of collaborative learning environments and to see young people grow and succeed. David also serves as a board member of OETC, the Organization for Educational Technology & Curriculum based out of Oregon and is a COSN member.